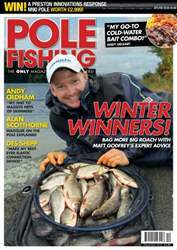 Whatever style of Pole Fishing you are in to, you will love the January issue of Pole Fishing! 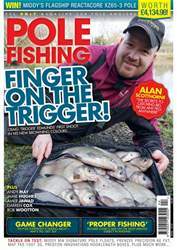 Matt Godfrey reveals his cute tactics for targeting big wily roach on a gem of a venue bang in the middle of Sheffield! Visiting a new venue for the first time is always exciting, and with the guidance of commercial connoisseur Andy Oldham, you will have virgin waters mastered in no time! Maver’s hottest mid-range tool is put under the knife, as Matt Godfrey puts it to the test with some angry Makin’s Fishery munters. 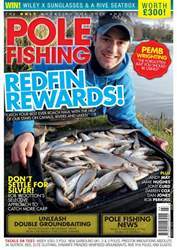 Plus we give you the chance to vote for what you think has been the best tackle on the bank in 2015! 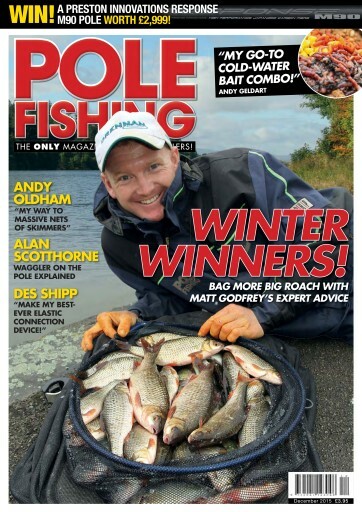 Our five-time world champion, Alan Scotthorne, shows you how to make the perfect dead maggots, discusses wagglers on the pole, and explains when and why to strike in different ways!, and his England team mate Des Shipp unveils his latest tricks for attaching a pole rig to elastic, explaining how and why you can make your elastics last longer! A journey to Tom’s Pond is on the agenda for Andy May, as he travels to a North Yorkshire hotspot for some hot autumn action! 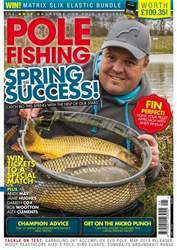 Plus, Pole Fishing gets the exclusive on-the-bank gaze at Preston Innovations brand-new range of poles being that are being released this month. With three in the range, one is sure to get your tackle taste buds tingling – and we give you the chance to win one!